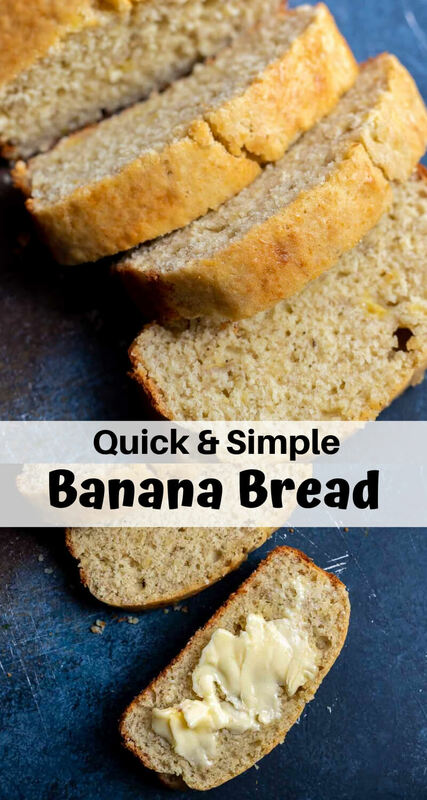 If you are looking for a Quick and Simple Banana Bread Recipe, you have found it. 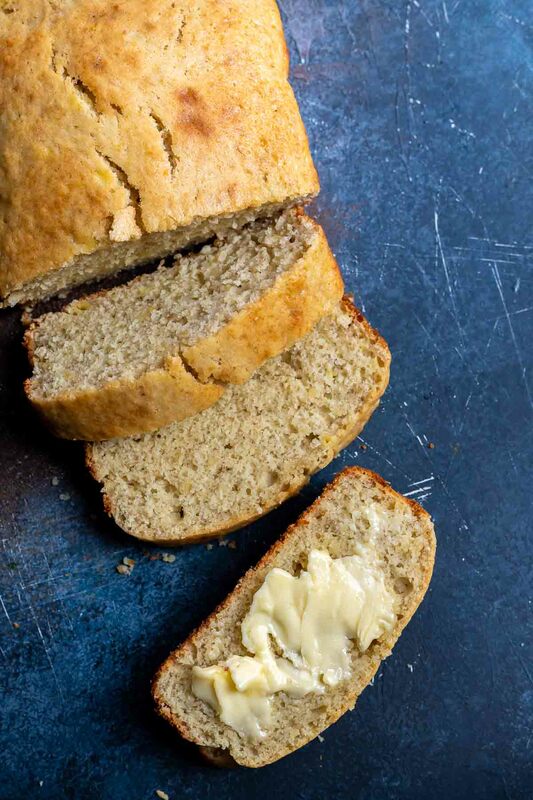 This is a no-frills easy banana bread that keeps it basic. 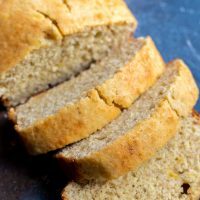 The quick bread loaf has a mild banana flavor and perfect texture, not too moist and not too dry. This banana bread recipe is basic. 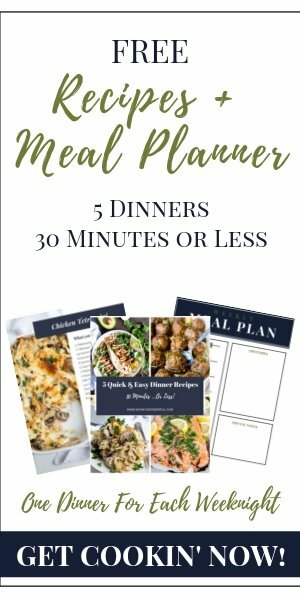 Not basic in a bad way, I just mean it’s a no frills recipe. Sometimes that is what you want. 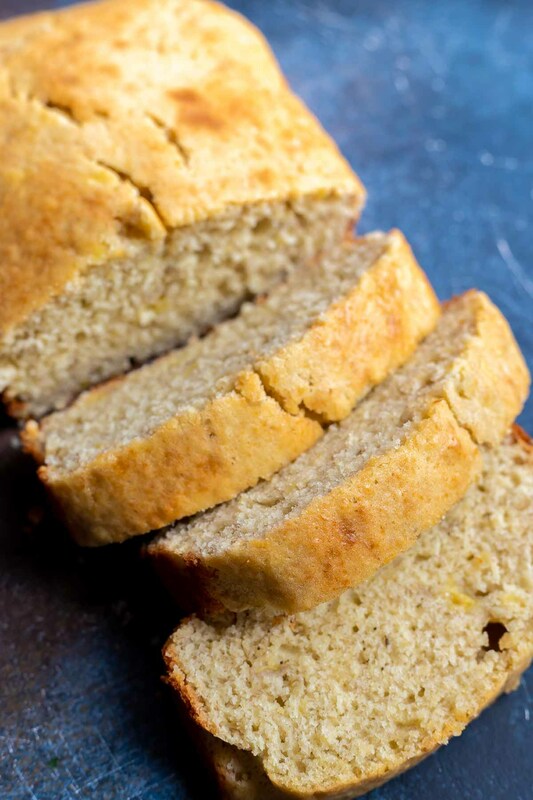 A classic, mild flavored banana bread without any extras. Of course, you can always add the extras if you want. Any kind of nuts that you like, walnuts are a popular choice for banana bread. Chocolate chips are always a welcome addition too. Yes. You want those bananas turning brown. Not only does this make them easy to incorporate into the batter, but, the sweetness and banana flavor is amplified. If you don’t have overripe bananas you can wrap your bananas in foil and bake for 10-15 minutes at 350ºF in the oven. This works in a pinch. 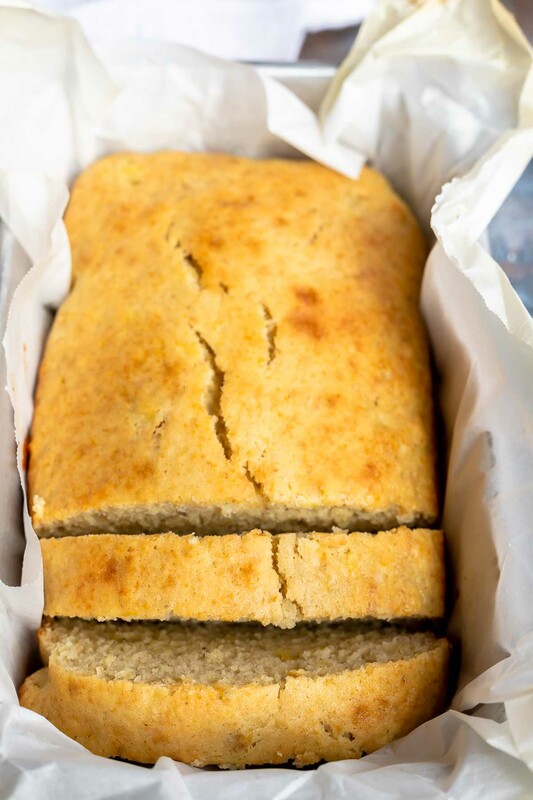 Let the banana bread completely cool before wrapping or transferring to a container. Otherwise the moisture from the banana bread will get trapped and cause it to get damp. I like to gently wrap my banana bread in a paper towel and then foil and keep at room temp. I find this is the best way to prevent a moisture issue. Mix mashed banana and melted butter until combined. Then add sugar, vanilla and eggs. Mix. Add dry ingredients to wet and stir until no lumps remain. Transfer to a greased or parchment lined loaf pan. Bake for 45-50 minutes at 350ºF. Bake for 45-50 minutes or until a toothpick can be inserted and come out clean.